Bhai Mohkam Singh (1663–1705), born Mohkam Chand, one of the Panj Pyare or the Five Beloved of honoured memory in the Sikh tradition, was the son of Tirath Chand, a cloth printer from Bet Dwarka, in modern-day Gujarat, India. About the year 1685, he came to Anandpur, then the seat of Guru Gobind Singh. He practiced martial arts and took part in Sikhs' battles with the surrounding hill chiefs and imperial troops. 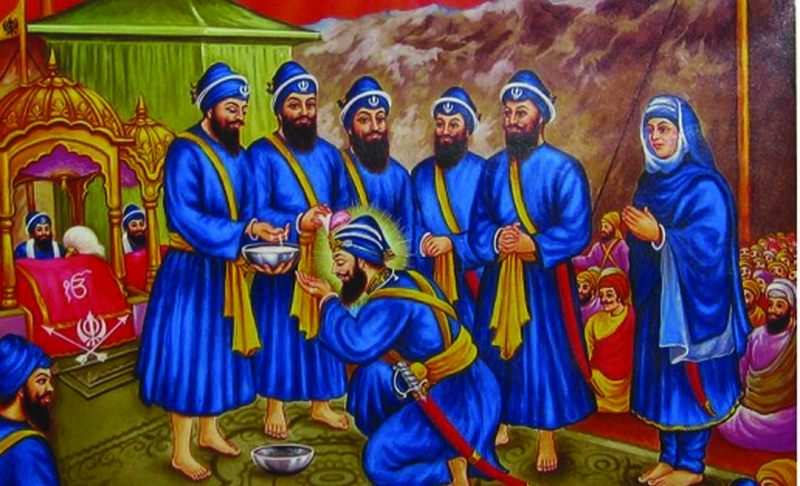 He was one of the five who offered their heads in response to Guru Gobind Singh's call on the Baisakhi day of 1699 and earned the appellation of Panj Pyare. Initiated into the order of the Khalsa, Mohkam Chand received the common surname of Singh and became Mohkam Singh. Mohkam Singh died in the battle of Chamkaur on 7 December 1705 with Bhai Himmat Singh and Bhai Sahib Singh.